25 hours of demonstrations, exercises and readings. Up to 12 hours of step-by-step “how-to” professionally produced DVDs with live demonstrations. The complete “Fundamentals of Hypnosis Workbook” of over 60 pages. An open-book exam included at the back of your workbook. The “Fundamentals of Hypnosis” certificate of completion suitable for framing upon successful completion. The “Hypnotist” certification suitable for framing. The professional title of “Hypnotist” which can be used in your promotional materials. A tuition credit towards “Transpersonal Hypnotherapy” so you can continue your studies. 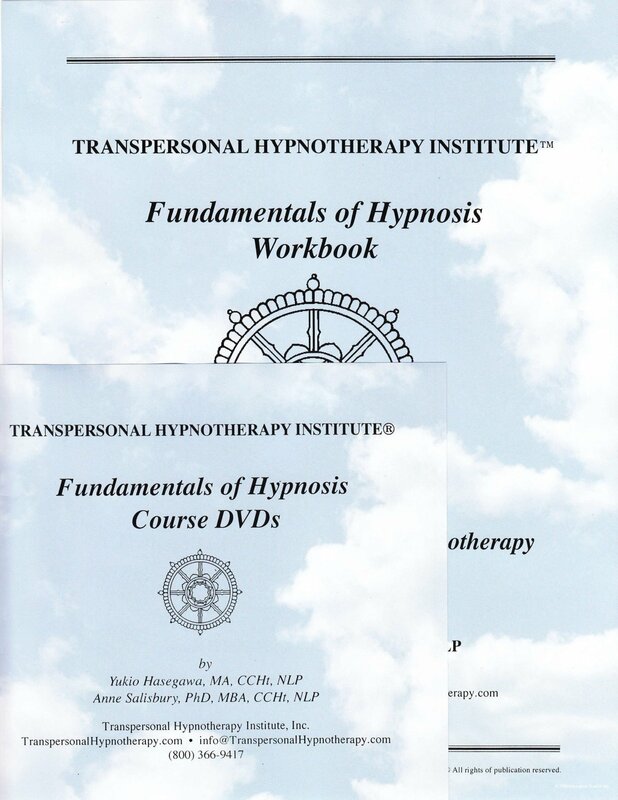 Introduction & The Interview Format: Transpersonal Hypnotherapy Described, Hypnosis, The Interview Format. Inducing and Monitoring Trance States: Conditions to Arouse a Hypnotic Trance State, Physical Characteristics of Trance, Levels of Trance, Styles of Hypnotic Inductions, Permissive Language, Guiding a Client into Trance, Deepening Techniques, Bringing a Client Out of Trance.